David Charles Clapham LLB, N.P, SSC. David can properly describe himself as a local solicitor. He was born in Percy Drive, Giffnock, which, if not within shouting distance of our current office premises, is not much further. He was educated at Hutchesons’ Grammar School and at the University of Strathclyde. He qualified as a solicitor in 1981 and commenced practice on his own account on 20th February 1984. The firm was named “David C Clapham” until his wife, Debra became a Partner in 2007 when it metamorphosed into “Claphams”. David was a Partner until 31st October 2015 when he became a Consultant of the firm. The firm was always city centre based until the present premises were opened in April 2007. David is a former President of the Glasgow Bar Association. 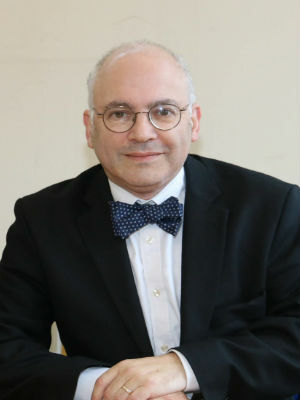 He has a particular interest in professional regulation and discipline having served as a Director of the Legal Defence Union for a quarter of a century. He is a Legal Assessor to each of the Nursing and Midwifery and General Dental Councils. He is the Secretary of the Glasgow Valuation Appeal Committee. A noted Burns enthusiast he is a book collector, piper and golfer. Contact David for legal enquiries.